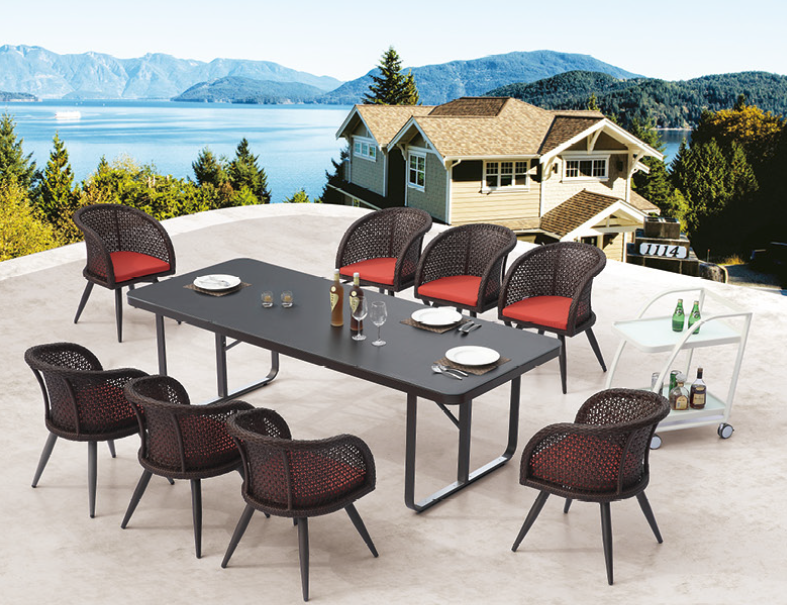 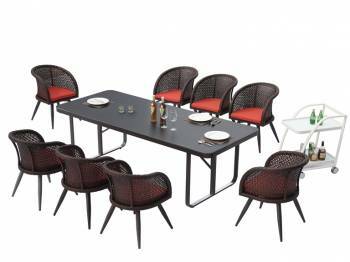 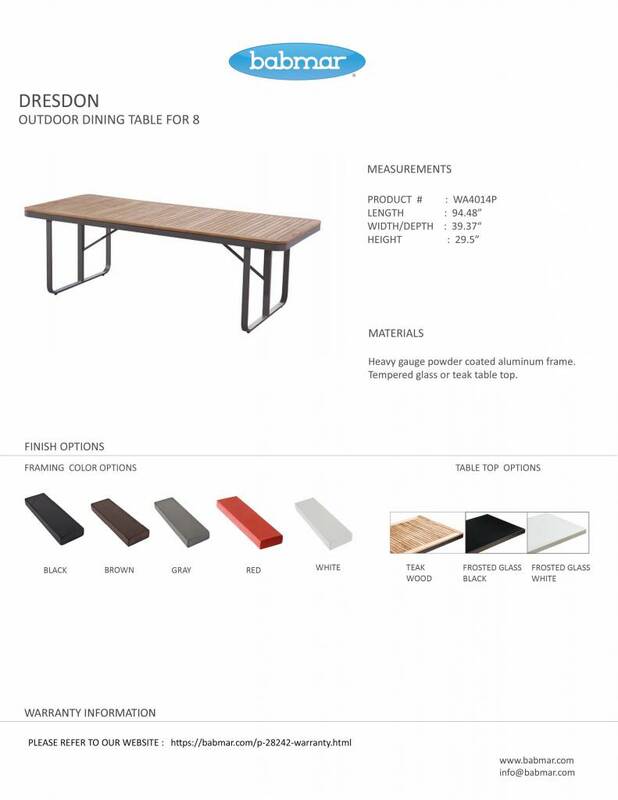 Its rectangular table stands tall on a thick aluminum frame and is nicely complemented by six chairs featuring angular backrests. 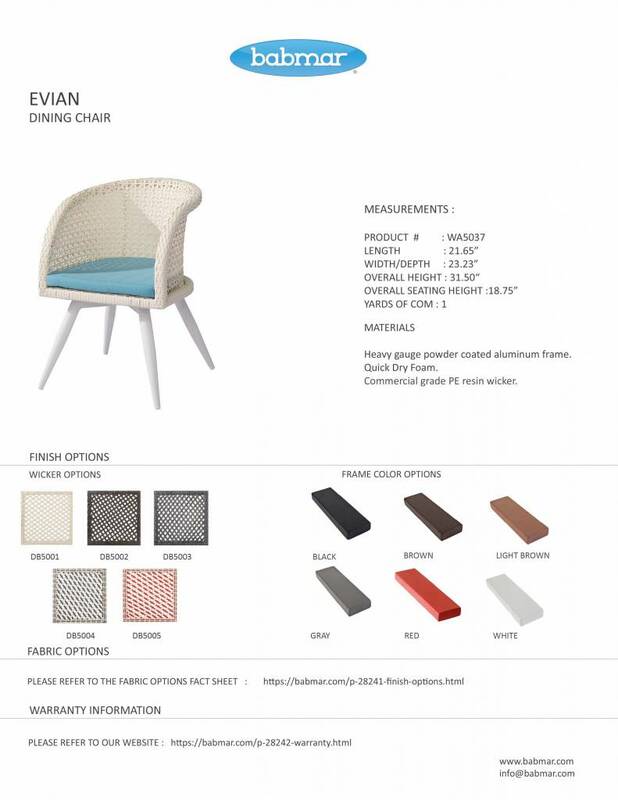 The interesting thing about this dining set is that it can be customized by making changes in the frame color and including cushions to enhance its comfort factor. Drink trolly sold separately.